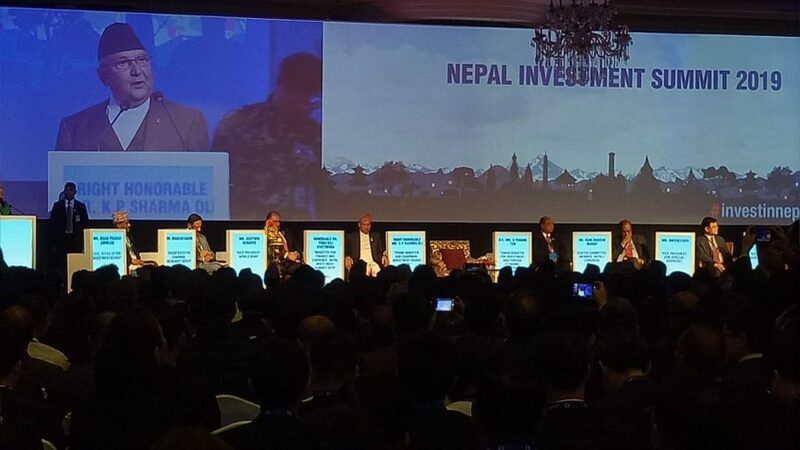 The two-day Nepal Investment Summit (NIS) 2019 concluded successfully on March 30, 2019, with key government representatives, foreign investors and other experts expressing their views and making key announcements on investment opportunities in Nepal. The last day of the summit included a parallel session and three plenary sessions followed by a concluding session at the end. The first session of ‘Day-2’ NIS 2019, chaired by the Nepal Minister for Physical Infrastructure and Transport Raghubir Mahaseth made emphasis on the investment potential of road, railway and waterways in Nepal. The session also stressed on water transportation potential of Koshi, Karnali and Gandaki rivers, and required investment on the same. The panelists underscored the need for immediate formulation of plans and timely execution on physical infrastructure development for better economic development and prosperity. As part of the session, Asian Development Bank (ADB) Vice-Chair Shixin Chen said Nepal needs to focus more on physical infrastructure. “The ADB has its investments in Nepal’s Gautam Buddha International Airport, Melamchi Drinking Water Project and various other projects including the rebuilding of earth-quake damaged schools,” said Chen, expressing their willingness for further investment in Nepal. “There is huge labor force, problem of load shedding is almost solved, and industrial atmosphere has been created. So, the foreign investors can make Nepal their destination,” said Confederation of Nepali Industries (CNI) Chairperson Bhawani Rana. Non-Resident Nepali Association (NRNA) Founding Chairman Upendra Mahato also called on foreign community to invest in Nepal’s projects for its reliability and investment potential. 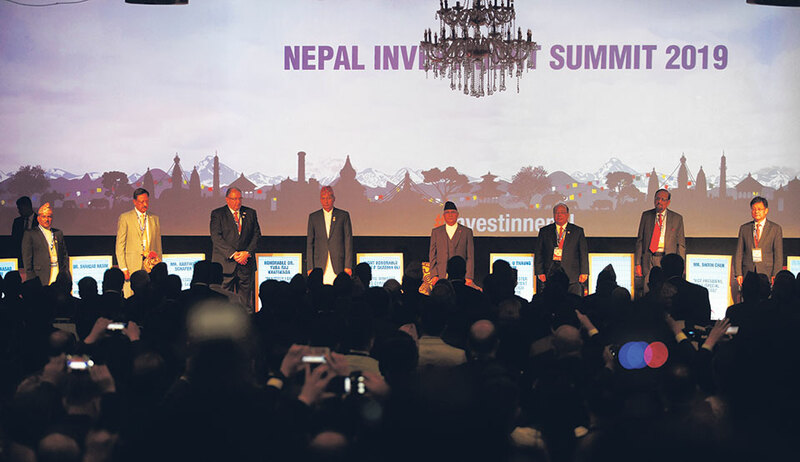 What Key Delegates Said on Nepal Investment Summit 2019? 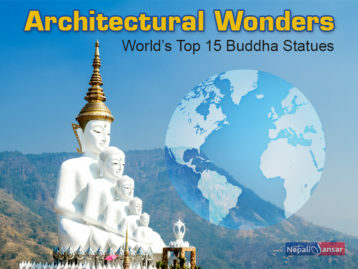 Province 2 and Sudurpaschim emerged as the top investment destinations at the Summit. 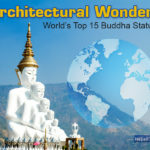 While the Summit highlighted potentiality of different projects belonging to different provinces, Province 2 and Sudurpaschim have reportedly stood unique in attracting investors. Despite number of projects, the province 2 attracted investors by showcasing its geographical importance, tax-related incentives and other special initiatives by provincial government. It is noteworthy that majority districts of province 2 share borders with India, giving scope for trade and business opportunities. Sudurpaschim also wooed investors in its way by showcasing its 7 seven projects identified by the Investment Board Nepal and 9 other projects of the region. “There must be some positive competition among the provinces when it comes to wooing investors and develop provinces. 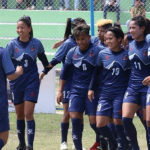 Only if we try to develop on our own can federalism be stronger,” said Bijaya Kumar Yadav, Minister For Economic Affairs And Planning, Province 2 Government. “It is difficult for provinces to organize such large-scale events. So, we sought to use the Investment Summit platform at best we can,” says Jhapat Bohora, Minister For Economic Affairs And Planning, Government of Sudurpaschim Province. In this regard, Chaudhary explained that CG Infrastructure is planning to set up various solar plants in all 8 districts of the Province 2. “Competition among provinces to attract investment can be described as the benefit of adopting federalism. It is good that provinces engaged in a healthy competition to attract investment,” says former Chief Secretary Som Lal Subedi. 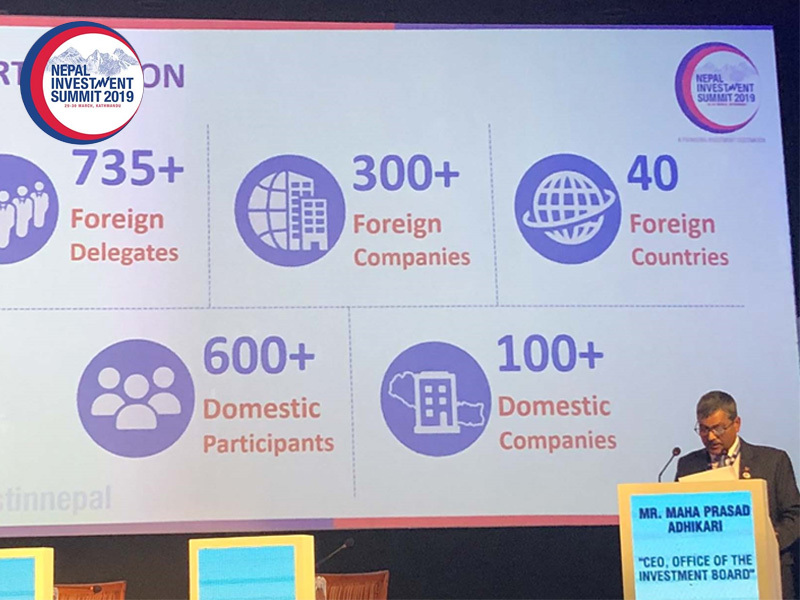 The Nepal Investment Summit 2019 worked out as a big platform for the Himalayan nation in showcasing to the world, its investment and development potential across sectors. Hope the Summit outcomes will add to the country’s portfolio in the days to come.